Car valeting, including car washing, is a great specialist cleaning business to consider (If you need some more ideas you can find them in our How to start a cleaning business: 8 simple steps). Since Karl Benz patented his gasoline-powered Motorwagen in 1886, car enthusiasts have been keen to keep their prized automobiles in factory condition. Whether starting a mobile car wash or car detailing business, there can be good opportunities in this industry for methodical and passionate entrepreneurs if you follow these simple steps. If you’re considering starting a car valeting business then be prepared before you commit as you’re likely to have to work long, physical hours on the weekend and on weekdays as you look to build your brand. Chris Keir, owner ofCK Detailing, a Northumberland-based detailing and valeting service for luxury cars, explains what drew him to the profession: “Since I can remember I have had a passion for cars and in particular car care and detailing. As soon as I turned 17 and got my first car I wanted to improve its appearance and basically make it stand out. I bought my first machine polisher and started learning, cleaning and detailing not only my own car but my friends and families building up quite the reputation in my local area. Over 11 years on, here I am with my own successful business doing what I love”. As well as a passion for cars, a dedication to the craft, care and tenacity it takes to do a good job is a must – consistent and high quality work is the way to get noticed. If you don’t have any experience washing or servicing cars, you should consider working for a car valet business to get an insight into the industry and learn the necessary skills. Apprenticeships are available in this industry too. The government’s National Careers Service also recommends having a methodical approach, a strong attention to detail and excellent customer service skills. Recently I was driving through Leeds and I kept seeing these old petrol stations that have been converted into hand car wash centres. After driving past a few of these over a period of a few weeks I noticed that there always seems to be either queues of cars outside them or a steady flow of customers. I was a bit sceptical about how good these places are so I decided to get my car hand washed, it cost me about £6 and I have to say I was very impressed (my car was filthy as well). I then began to think that the city I live in only has automatic car washes and they are pretty naff, they can also be almost as expensive as £6. Are your potential clients within your area? What are your competition doing and what can you do that will make you stand out? Bear in mind that custom can be impacted by economic difficulty (as customers opt to wash or valet cars themselves); many opt to cater for the luxury end of the market for more immunity. The car valet market is a fairly crowded one – and while there are many premium, high-quality operations, there are also many offering shoddy, second-rate services, so it’s important to differentiate yourself from the competition. Deciding whether to operate a mobile car wash business (or mobile car valet business) or operate from a location will be one of the first, and most important decisions, before setting up your car wash business or car valet business. Going mobile gives you the freedom to reach a wider catchment area offers customers greater convenience, although you will have to fork out for a van and petrol or even a fleet – and your marketing spend might be higher. Rob Tyler, of iValet UK, chose to be a fully mobile eco-friendly service covering Cambridge and the surrounding areas. It arranges a time and place to come out to, be it home or work and perform as full valet service. Operating from premises can make your business seem more credible and means you can offer a greater variety of services. However, it will also increase your start-up costs considerably as you will need to lease premises. If a site is without a for sale board, go onto the Land Registry website if you have a buildings postcode you can usually find out who owns the property. The land registry charges £1 for the service. -ex-petrol stations normally occupy prime locations and they are worth a lot of money either to buy or rent! -some sites have other services attached – or could have other services attached – like a coffee shop/cafe. Compared to a basic car wash, “when a car is valeted it will achieve a much more thorough finish”, Chris Keir explains. He describes his profession as a “thorough interior and external cleaning of a car which often includes polishing and waxing, which enhances the look of your car”. Rob Tyler adds: “A car valeting business can range from a basic drive through wash and go service to a full prestige detailing service”. Car valeting, or detailing, covers a wide range of processes and treatments for cars including cleaning, waxing, polishing and vacuuming the exterior or interior of a car, designed to get it in showroom condition. Additional services could give you a competitive edge, but will of course add costs to your business plan. There’s a dizzying array of equipment used in car washing and valeting, ranging from brushes and squeegees to jet washers and polishers and a host of soaps, polishes and cleaning chemicals. At the very least you will need items to cover these basic functions. However, when you’re starting out there’s no need to splash out on expensive equipment – you can buy everything you need second-hand from online stores which can be found by a quick browse on search engines. If you are mobile, you will also need to consider the cost of running a van (bear in mind when thinking about how to set up a mobile valeting van that all your equipment has to fit in it!). If you’re going to buy a mobile valeting van, our vans for business section offers a wealth of advice and information on the best van to suit your business needs. Without a solid business plan, your car valet company will be running on empty. Taking time to craft a thorough and detailed plan is the best way to prepare yourself for the trials and tribulations of setting up a car wash business. If you’re unfamiliar with how to write a business plan you can download our free business plan template here. iValet UK’s Tyler says that a car valet business plan should include “start-up costs, target market, unique selling point, margins and which type of services you’re going to offer to your customers”. It’s important to be as thorough as possible with your start-up costs to avoid any surprises and make sure you can properly budget – if anything it’s better to overestimate. According to CK Detailing’s Keir, “a car valeting business plan should include not only the services you offer and prices, but a year forecast of your earnings, expenses and profit”. Looking at your area, think about how many cars per month you might be able to wash.
You’ll also need to detail how you’re going to approach the market and secure customers (see more below in our car wash marketing section). Also think about how easy it is to scale your business (could you add more sites or expand your reach) and how easy it is to get started? A Startups member notes that they ‘rented a place (with a deposit) one month ago, hired two guys, bought some cheap equipment and got started’. Managing growth can be challenging for a new start-up and ensuring you maintain a steady cash flow is vital to keep your car valet business running smoothly. Think about how you might sensibly reinvest your profits to grow organically as you build your reputation locally and beyond. A Startups member notes charging £6 for normal vehicle washing, which can go up to £20 for a big van with interiors done. By keeping a record of services (you could consider a simple CRM) you can work out what additional offerings are most popular. You could consider developing a billing scheme for regular customers. Bear in mind that you might need to consider taking card payments (take a look at our guide on mobile card payment providers). Remember that you will need to keep a record of what you earn (an spend) for the tax man. Keir also warns that you need to think carefully about your price point to ensure you attract customers: “When I initially set up my car care company I tried to undercut the competition; this backfired for me. Don’t underprice to get work; people don’t mind paying more for a better service. Don’t overcharge though; people aren’t going to use your business until you have a good reputation”. Along with insurance for your car wash business, a Startups member suggests checking out the HSE (Health and Safety Executive) website for information about recycling waste water. In any industry it’s imperative that you take time to learn the rules and regulations you’re going to have to abide by – failure to do so could result in fines, or even serious legal proceedings. 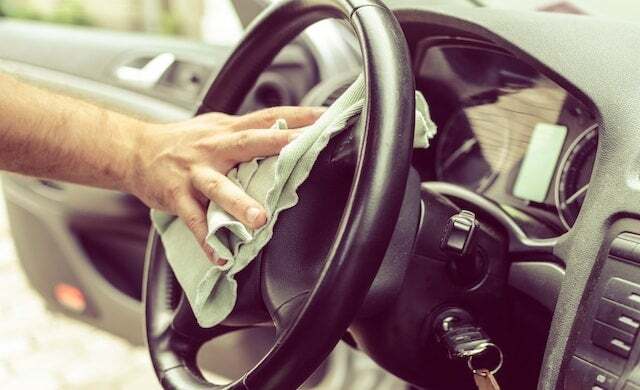 The main regulatory issues to contend with when starting a hand car washing or valeting business are focused around your water and chemical usage. “Just like any business there are always rules and regulations to abide by”, says CK Detailing founder Keir, “however, specifically to valeting there is a law called trade effluent that states you are not allowed to let the water you use when valeting enter the watercourse”. iValet UK’s Tyler agrees: “The industry is restricted by chemical usage and drainage requirements dependent on chemical content in specific areas”. Legislation states that any discharge into a public sewer from a commercial or industrial premises is classified as trade effluent. It is an offence to make this discharge without the consent of your local water company. This will require you to make an application giving details of the likely flow rate, any chemicals that could be present and details of the entry point to the public sewer. The consent will contain certain conditions that must be adhered to, though these will vary from provider to provider and depend on the nature and volume of the waste. You will have to estimate how much trade effluent your car washing business is likely to produce and give details of what chemicals you’ll be using, sample data, drainage plans for your site and details of treatment on site. Southern Water charges an administration fee of £231 to process a trade effluent application and requires at least two months notice, so those wishing to start a car valeting company soon should make this application of primary importance. You can find out more about this legislation and who you should apply to here. This type of business requires much labour work and consumes a lot of time per car. It is often low paid (take a look at our guide to the current minimum wage), but you will still need to think about employment contracts. Tyler continues: “The easiest mistake is to wait for the phone to ring, just because you have a website and some social media adverts. Be active – knock on neighbours’ doors and build a reputation”. In particular if operating a mobile car wash, think about how to establish regular customers. Some successful mobile car valeting people service business parks as a strategy: Startups member Dave Adamson says, “I know of several such businesses who go round hospitals, industrial sites, office spaces etc on set days. To do this you would need to approach someone influential and do a ‘pitch’.” Another member says “My very first business was a car wash (teenager with a bucket job) and my best customer was a local office block which had a courier firm on the bottom floor. For the courier firm I literally knocked on the door and said “your vans are filthy dirty, I will clean them for X” and I think the owner admired my cheek. For the office block I asked in reception very nicely if anyone wanted a car cleaned, and they put it over the tannoy (!) and after that I used to have several regulars each time.” Indeed working with rental, courier or taxi firms could be the type of businesses requiring ongoing valets. Car wash businesses with premises are usually very popular on weekends and public holidays. Can you encourage customers to use your services during the week by offering something like breakfast/lunch? Even in an increasingly digital world, it’s important not forget the importance of old fashioned marketing methods such as drop-door marketing, when growing your company, especially when you work in a customer-facing role that relies largely on local trade. Being a recognisable face for your business gives it a human side and can give you the edge over local competition. Don’t forget to think about potential car valeting names when you start – and what branding or van signwriting you might need. Keir adds that the best way to earn more from car valeting is simply to do a good job: “The car care industry relies heavily on word of mouth. If you’re the best and people know about you, they will be willing to pay that bit more”. How much does it cost to start a car valeting business or car wash business? “Setting up a valeting business can cost as little or as much as you like”, asserts CK Detailing owner Keir. “You will have to spend a few hundred on equipment and, if you plan to start a mobile car valeting business, on a van. You will also want insurance to carry out valeting. If you plan on having a unit to work from then your costs will be greatly increased”, Keir continues. As you grow your business – and perhaps take on staff to help you – you can upgrade and expand the range of equipment that you use. Search around online for the best value and ask others in the industry for their recommendations. iValet UK’s Tyler says that “costs can be anything from a very basic, simple setup for £2,000 working from the back of a car, to £15,000 or more to become part of a larger company as a franchisee – the advantages of course to the franchise are becoming part of an already established business with a proven plan and record”. How much can you earn running a car valeting business? The government’s National Careers Service estimates the starter salary for a car valet at around £14,000, rising to £16,500 for a more experienced professional. There are many variables that could impact the profitability of your car valeting business, ranging from local demand to the type of vehicles you choose to work with and your approach to marketing your business. CK Detailing’s Keir says that the money you make depends largely “on your location” and “the level of care you carry out”, but suggests that a standard valet “can expect to earn about £25 to £35 for” for around one to two hours work. If you plan to enter the luxury car detailing market – which CK Detailing operates in – and carry out premium car details “you can earn from a few hundred to the thousand pound mark per detail”. You should always be motivated to carry out work to the best of your abilities and to the best industry standards. This also goes for any employees you take on: provide ongoing training to teach them best practice and ensure your car valeting business is associated with a quality service. “Profits depend on the type of car valeting business”, explains iValet UK’s Tyler, “but an individual service provider can expect to profit around £8,000 trading first year from start-up or around £25,000 first year with a franchise”. A forum user adds that they don’t make a profit initially, having started one month ago, but expect profit over 2-3 months. The great advantage of starting a car wash business is that cars constantly get dirty! However, what puts people off taking the idea further is the cost of renting a piece of land, buying the equipment and hiring staff. From the very first hand car washing business, which opened in 1914 in Detroit, through to the launch of the first semi-automatic car wash in 1946 and present day full detailing services, car valeting businesses have been keeping automobiles pristine for over 100 years. Get the best tools for your budget, not the most expensive or the cheapest on offer – Don’t dismiss looking at second hand car valet equipment for sale, or even for rent. You’ll need to be active to get the word out about your business, use leafleting and drop door marketing to raise your profile in the local area.